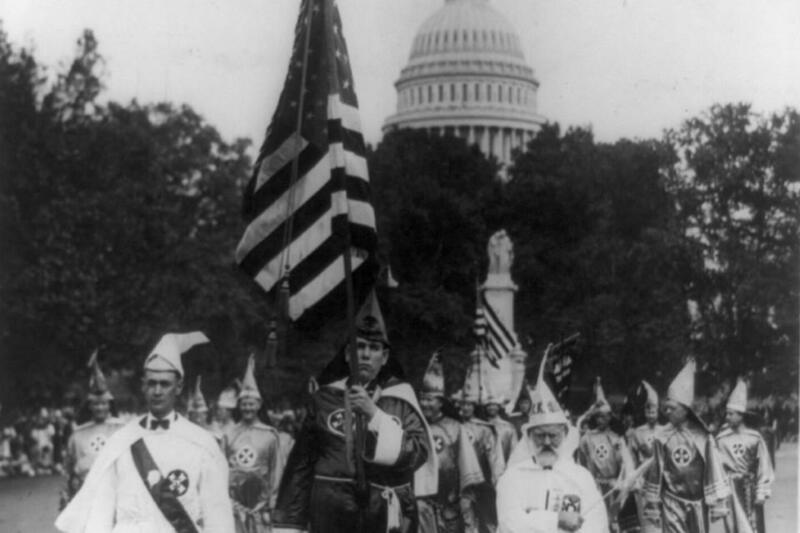 On August 8, 1925, more than 50,000 members of the Ku Klux Klan paraded through Washington, D.C. Some walked in lines as wide as 20 abreast, while others created formations of the letter K or a Christian cross. A few rode on horseback. Many held American flags. Men and women alike, the marchers carried banners emblazoned with the names of their home states or local chapters, and their procession lasted for more than three hours down a Pennsylvania Avenue lined with spectators. National leaders of the organization were resplendent in colorful satin robes and the rank and file wore white, their regalia adorned with a circular red patch containing a cross with a drop of blood at its center. Nearly all of the marchers wore pointed hoods, but their faces were clearly visible. In part, that was because officials would sanction the parade only if participants agreed to walk unmasked. But a mask was not really necessary, as most members of the Klan saw little reason to hide their faces. After all, there were millions of them in the United States.